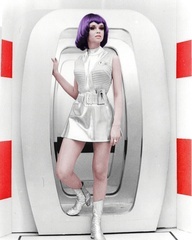 Resistor, band that we just added to Crossover is truly faithful to its genre name. Crossing borders, something Heavy (noted influence would be Rush), sometimes more acoustic like, even folk elements are there. Folk element (and both Irish music / Jethro feeling is boosted by violin / flute - just couldn't resist this presumption that everything with flute sounds a bit like good old Tull). But the main point this album is so unique is its "side" (you know, tradition) long epic about land where disco music reigned (and was killed by pretty good jamming in Prog style). Funny, crazy, full of puns and in general interesting lyrics and also music (that's difficult sometimes, some bands gets too focused on either words or music that the other one is not so well conceived - not here though). The Land of No Groove is quite pitoresque place, almost like Wonderland (think Alice). There also helps repeated listenings, as this is story and it's not as easy to follow as to read a book. To be honest (and to tell more or less two private thoughts), at first, I didn't understand it at all, but not only at first (rather like still during let's say 15th listen of this album) I laughed through most of these parts (10 chapters of the story in total). Battle with sea dragon-like monster using music, incorporating themselves (band members) into story (they sail the sea), battle between Rock and Disco, amusing a lot, even though I have to tell that it sounds too forced in one or two occasions. Nothing major. "They said sail anyway". 4(+), I do think so that after so many listens, my admiration of "Rise" did rise higher. There is also strong feeling of honest musicians trying to make some fun and while they're at it, they produced extremely good album, which also stands its rating from Prog point of view (which as you know we should more or less calculate too). Thank you Steve and I hope you are satisfied. Not with this review, it's my opinion, but rather with so quick band addition. I'm glad too. A colorful and passionate album! 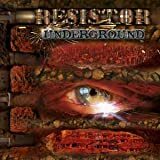 Resistor is an American band, a side project of brilliant multi-instrumentalist Steve Unruh, who is now together with Rob Winslow, Barry Farrands and Fran Turner. 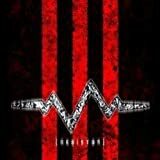 They released a debut album in 2008, and now in this 2010 "Rise" saw the light. When I said colorful, is because within this album you will find a lot of things, different sounds, diverse feelings, a journey to several places, and of course most important, songs full of quality. Rise is composed by "two sides" as the band put on purpose. The first one is composed by 5 compositions, including a 16-minute track; while the second one can be considered a 39-minute epic, divided in 10 passages (songs). The album's length is around 78 minutes. Do not expect that gentle sound that predominates in Unruh's solo albums, here you will listen to different things, and that can be noticed since the very first song entitled "The Secret of the Open Sky", where a heavy sound appears and the rock element is always present. The vocals are excellent, the drums always constant and the soft violin adds an extra flavor. What a great song to start this album. "Beyond this Masquerade" has not that heavy sound. Here the song is softer and calmer, which does not mean it is less interesting, though contrasts a little bit with that powerful opener track. There is a nice guitar solo after minute three and then a little stop, only to give pass to the final notes. "Spaceghetti" is an extraordinary track. Here the violin is the leader; however the other instruments play a very important role because they help creating an intense atmosphere. After minute 3 there is a nice guitar solo and then a raw bass sound which suddenly stops to open the gates to that fast and intrepid violin sound. This is an instrumental song I like a lot, and another example of that colorful music I mentioned above. 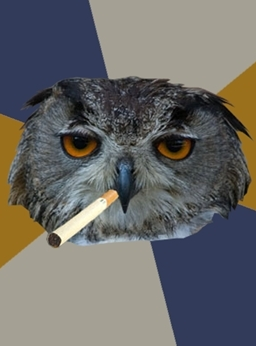 Now you have listened to three different songs. With "Ether" you will appreciate to another face of Resistor, the guitars in the beginning are repetitive but addictive. The structure is the same until 2:30, when it changes to a more aggressive sound, reminding me to both Porcupine Tree's Hatesong and Pink Floyd's Astronomy Domine in some few moments, though I am sure that was not the intention. Then the song ends as it began. "Mimosa" marks the end of the first side, but also shows the first long composition, lasting 16 minutes. The first moments shares tranquility, soft musical passages and a nice voice, the guitar is pretty nice, this time I would say they mark the rhythm of the track. Later a beautiful flute sound appears and that sensation of tranquility is even higher. When Mimosa reaches its fifth minute, the music and the mood change dramatically, becoming heavier and powerful. Both, the moments with voice and without it are great, because the first adds that extra sensibility to the song, while the second takes you to a new trip every single minute. Just before minute 8, the guitar returns to its first form, and then a delicate and beautifully played violin appears, suggesting a moment of reflection where you can close your eyes and put images on your mind. The second part of this song is pretty alike to the first moments, but now the guitar solos excel more with its clean and jazzy sound. There is a last change before minute 13, where a melancholic sound enters, first producing a soft sound, but little by little it is progressing and creating an exciting atmosphere. What a great song! Now the second side begins. As I explained in my second paragraph, this could be considered as one long epic divided in 10 songs. I'll be honest to you, if I want to write song by song this review would never end and you may fall asleep, so I'll try to be brief, without letting anything I consider important out. This part has a concept inside that tells a story, it is like the chronicle of some guys who used to live in the land of no groove where music is not the best, and later found the lost land of art. 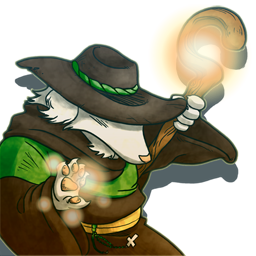 During all the song you will listen to that story, sometimes Unruh's vocals don't sing but only speak, though its tone varies according to the words he's pronouncing. So it is a complete journey, where you can join with those travelers. All the parts here represent an important moment of the journey, and each title is well reflected in the music. Since the first second of this song the song will not stop until the last one, so you may not notice where a song finishes and a new passage begins, though if you are listen carefully, of course you will be aware of it. The music makes several direction changes, but the goal is always the same. The work that all the four members of Resistor do here is awesome, each and everyone of them are connected to each other, so the music flows perfectly, which will attract the complete attention of the listener (it was in my case), because once the music caught you, it won't let you go until the complete journey ends. The music in general is great: guitars (soft and heavy), nice bass notes, intense drums, delicate and moody violin, and of course a deep vocal work. All together compiles this excellent 40-minute trip. 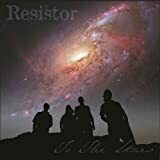 Resistor's Rise has reached its goal with me, they have given me a great time, and when I listen to it again, I enjoy it more. 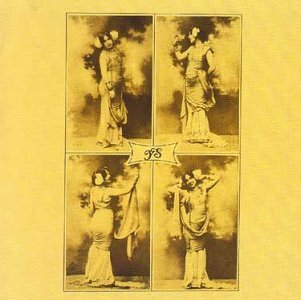 It is a complete and consistent album that should be discovered by more prog lovers, I am sure they will be happy with it. Though I am tempted to a higher rating, I believe the most accurate would be four stars. I highly recommend it. 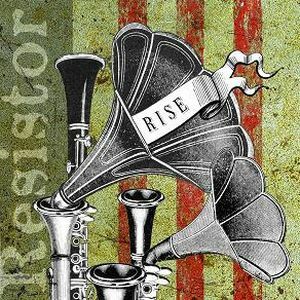 Post a review of RESISTOR "Rise"